When you think of cutting-edge tech in Florida, the first thing that comes to mind is Disney. But a small town near Fort Myers named Babcock Ranch might be giving Disney’s imagineers a run for their money. Billed as the nation’s “First Solar Powered Town”, Babcock Ranch is planning another milestone. They are going to be the first place to test autonomous school shuttles. 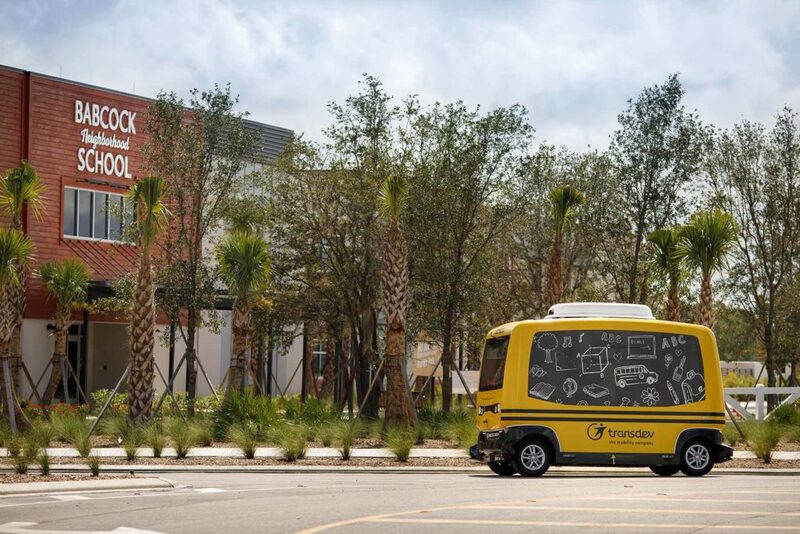 The town has partnered with global mobility company Transdev who has been working on getting autonomous vehicles onto the streets all around the world. The shuttle carrying the kids will be EasyMile’s EZ10 which is an electric autonomous vehicle that can transport up to 12 children at a time. The EZ10 is fully electric and reacts 30 times faster than a human driver. 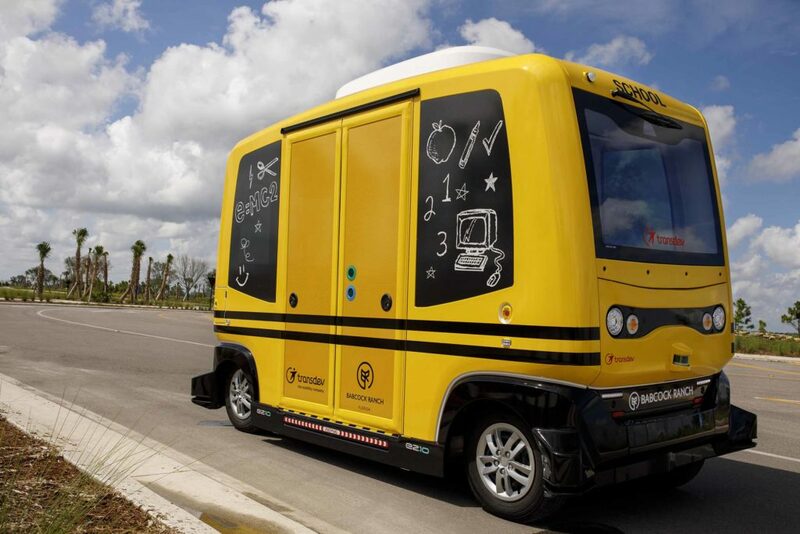 Currently, the autonomous school shuttle only travels at about 8mph, but once the proper infrastructure is built, it will be able to go up to 30mph. Children from the community will be shuttled to the Babcock Neighborhood School which is K-7 and currently has 315 students. The shuttle will follow a predetermined path as children will get on at a pickup area and then be dropped off in front of the school. The hope is eventually for parents to use an app to have the students picked up on demand at their homes. While the route and operation will be fully autonomous, a safety attendant will remain on board at all times while students are riding. Transdev isn’t stopping with taking the kids to school. 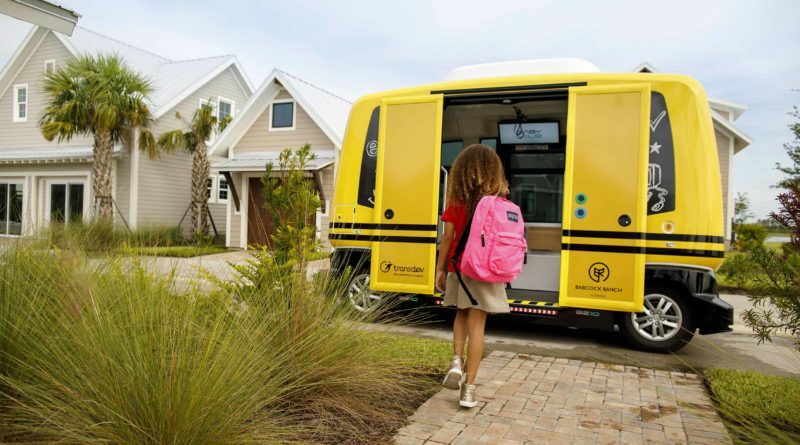 If the tests go well, they plan to use the autonomous technology to take all the citizens around town and make deliveries of things like groceries and packages. We can see some parents having security concerns with an autonomous shuttle transporting their kids. While the shuttles are monitored, in bigger cities and towns there would definitely be a need for a permanent human onboard in case of emergency. Just like any technology, it will have to be tailored to the wants and needs of the citizens to be truly successful. Check out our article on robots working in hotels and ones that act as security.